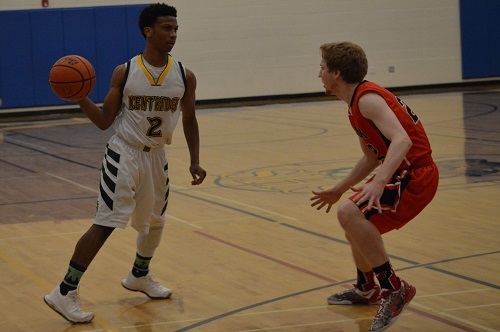 With both teams facing elimination, Kentridge and Yelm needed to bring their best as the Chargers and Tornados squared off for a West Central District 3 match-up. Listen as Nic Beckman provides a game recap including post-game comments from Kentridge senior Ethan Walker! Kentridge punches their ticket to state by prevailing in a loser-out game in the West Central District 3 tournament on Wednesday night against Yelm. The Chargers will play Timberline at noon on Saturday at Mount Tahoma High School to determine the 5th and 6th seeds which advance to the regional round next week. 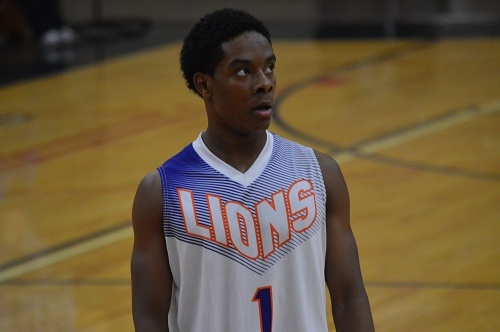 Ethan Walker led all scorers with 27 points in the contest as the 6’4″ forward knocked down tough shots in the paint and buried 9 of 10 free throws. Yelm found themselves in a double digit hole at the break in which a 4 point second quarter played a role to the slow start. The Tornadoes needed a strong second half. 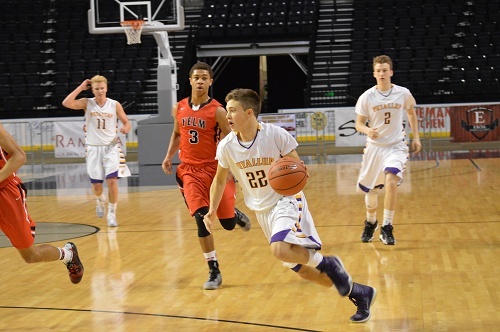 All eleven Puyallup Vikings scored in their Showare Shootout victory over Yelm. Deven Neff led the Viks with 15 points in addition to 5 rebounds. By the time Yelm scored their first points in the contest with 1:38 remaining in the first quarter, they were facing a 16 point deficit. The Tornados had difficulty contending with the full court press of the opposition and ended up turning the ball over 20 times in the ball game. Leading 40-13 at halftime, could the Viks retain their big lead? Christian Davis took the lead for Yelm in the second half as the senior guard scored the bulk of his 30 points in the final two quarters including 17/22 from the free throw line. He also recorded 9 rebounds, 5 assists, 5 steals, and 4 blocks. However, this wasn’t enough to cut into Puyallup’s advantage as Jacob Holcomb and Tony Gutierrez joined Neff as double digit scorers. 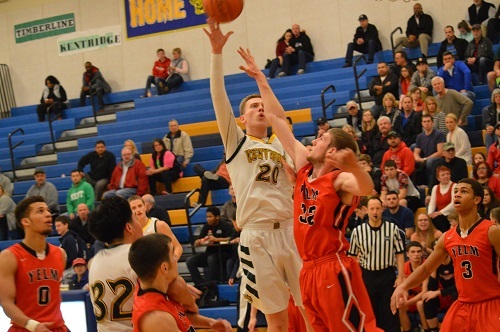 A 21-3 Viking run and decisive rebounding advantage allowed the SPSL representative to go wire-to-wire in this game and get back into the win column after a close loss to Curtis earlier in the week.